All of Japan has been exposed to a recent Nihon University football play, where Taisuke Miyagawa delivered the opposition quarterback a late hit designed to injure (宮川泰介選手と日大アメフト部の悪習). The offending player now openly claims his coaching staff ordered the dangerous tackle, to force the opposing star out of the game. 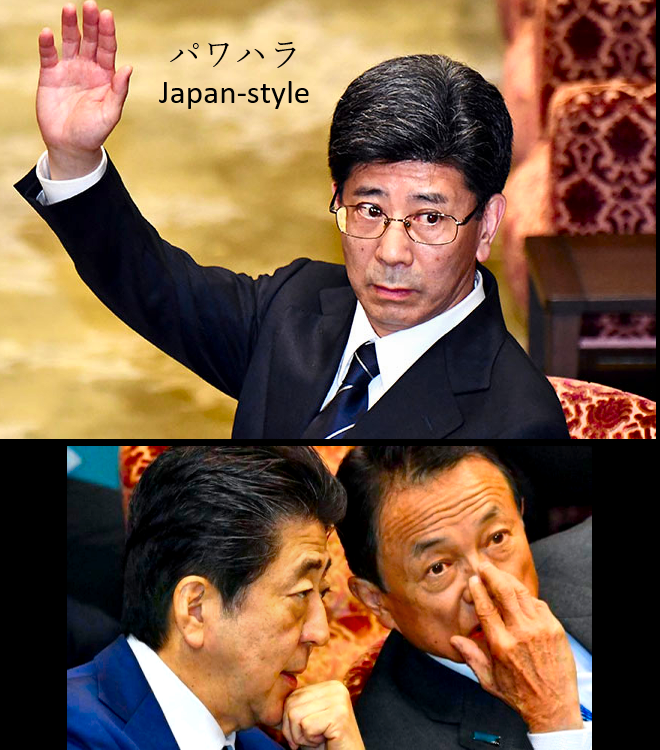 Japan is widely discussing dishonor. But surely rot and パワハラ "power hara" reach to the very top. In Japan's political world, the powerful evade responsibility - as 'soldiers' coverup corruption. And in the USA, payoffs & powerful lawyers hide leadership misdeeds. Sad!